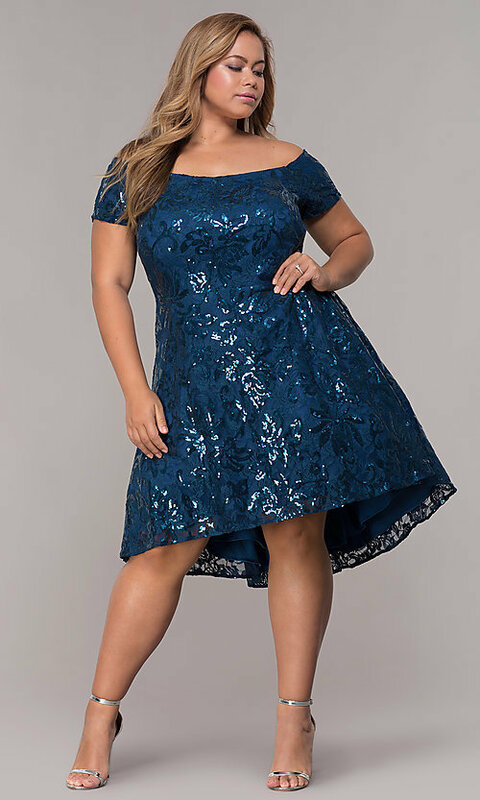 Dazzle in this plus-size high-low wedding-guest dress with sparkling sequins on a sheer-mesh overlay. 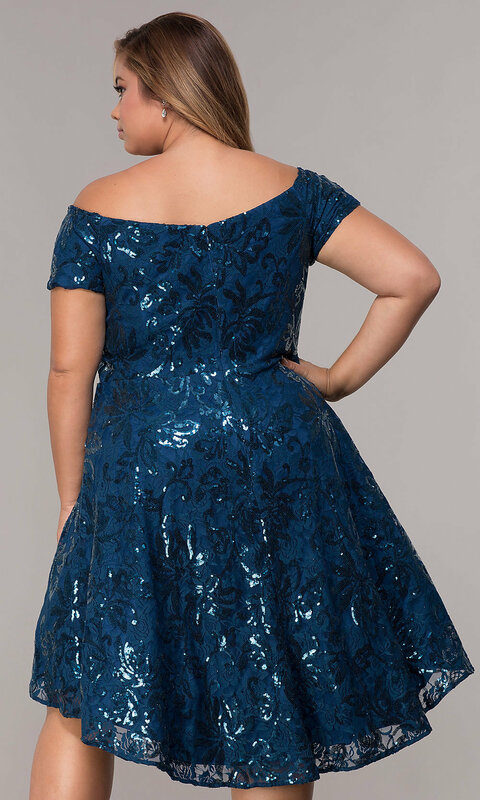 Eye-catching for holiday celebrations, homecoming 2019 parties, and other semi-formal events, this shimmering short dress has a trendy off-the-shoulder neckline with banded sleeves. The beautiful sequin dress features a unique high-low skirt that flows from the natural waistline to a modest knee length in front that gradually changes to a chic longer length in back. Under $150, this plus-size high-low wedding-guest dress has an upscale look at an affordable price tag. The model wearing peacock is 5'8.5".